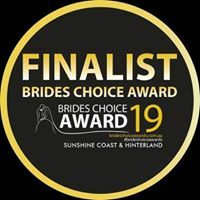 From Sunshine Coast, Noosa & Maleny to Redcliffe & Caboolture, our Mobile Wedding Makeup Artist, Mel, will create the most beautiful bridal makeup for you (Professional Makeup or Airbrush Makeup) and your bridal party on your wedding day. 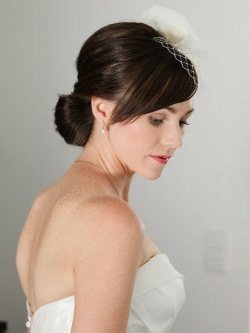 Mel uses techniques and styles that are the most flattering for your face shape and the colours used will compliment your own natural colouring and wedding theme. (See below for experience and qualifications). 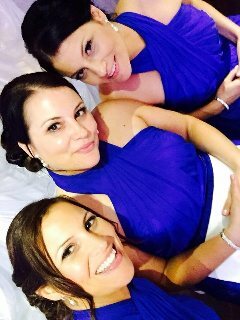 Mel & the team are a friendly, professional and committed team and bring much talent and expertise to your wedding or special occasion. 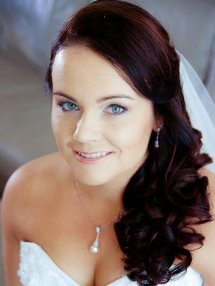 If your wedding falls on a weekday you will receive sensational savings off hair and makeup for your wedding day. Weekday weddings are becoming more and more popular with todays brides and we will not only give you great savings on hair and makeup but will also offer the Bride a complimentary lipstick if there are 5 or more in the bridal party. So now it's easy for you to look your best on your special day. 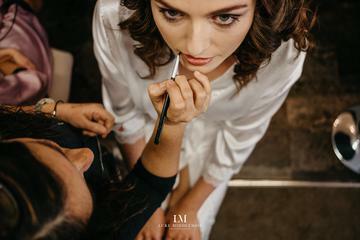 (We recommend touch up lipsticks be applied regularly and especially before your wedding photo's). If your wedding is in the months of May, June, July or August we are offering you a further reduction in our already reasonably priced makeup. Please submit the form on our Contact page and let us know your wedding is in June, July or August and we will return your email with a quote with our fantastic 'off-season' prices. In her career as a beauty industry professional our makeup artist uses cosmetics that are recognised for their excellence in quality and staying power. Our cosmetics and foundations feel light and comfortable while giving a flawless coverage and are in a class of their own. Our superior foundations and mineral powders provide natural ingredients suitable for different ages, personalities and skin types. Our lipsticks are fortified with Vitamin E for nourishment and protection. Our products are available for retail purchase and it is highly recommended brides purchase touch-up powder (mineral powder also available) and lipstick for touch ups on their wedding day. 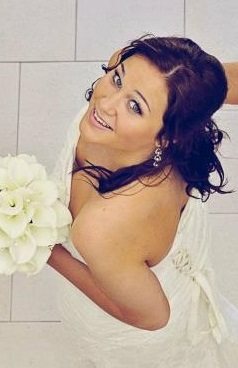 Mel is a talented makeup artist and a qualified trainer and absolutely loves being involved in the bridal and beauty industry. She is currently working with a Sunshine Coast Beauty School and recognised training organisation to train the nationally recognised Certificate in Makeup. She also trains senior secondary students in school-based makeup programs and a preliminary to Certified Makeup Courses. 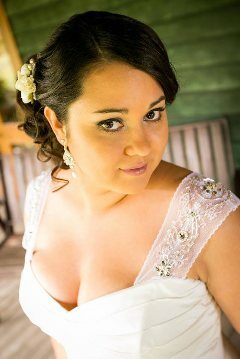 Mel has spent over 10 years in the beauty and bridal industry, and promises to make your wedding day not only the most improtant day of your life but the most perfect. Feel confident and look fabulous with our hair extensions. Not only do we offer brides and bridesmaides a special price, we offer high quality human hair extensions that will be styled and blended to perfection.